Pass the salt shaker….on past your plate. Several of you have asked what is the big deal about salt in your diet. Here’s the deal..
Added table salt WILL effect your body negatively if you don’t keep a handle on it. The recommended amount of salt per day is 1500 mg or less. I err on the side of less because I know that it, just like sugar, will change the way my taste buds respond to food and digestion. Table salt, while it contains iodine a valuable mineral, is void of many other valuable qualities/minerals that aid our bodies in healing and support good health. It is overused in processed and restaurant food. Excess sodium will increase your thirst and thus require you up your hydration immediately. For some of you, it will send you on a sugar binge soon after you eat it because you crave a sweet to counter balance the excess salt. One of the biggest drawbacks to too much sodium is that sodium promotes turning cortisone into the hormone cortisol. Excess cortisol in your body turns into belly fat, something we are all trying to fight. Sodium also raises blood pressure levels, another negative. A better bet is to add your own salt to dishes and in your cooking so you can control the amount you get. I recommend you vary the sources of your salt to include alternating using iodized salt, sea salt and himalayan pink salt. That way you are providing your body and palate with many different sources of salt and controlling the amount. An aside fact. Did you know electrolyte drinks, ie. gatorade, powerade, the like, contain ingredients that wreak havoc on your Adrenal Glands. These glands are instrumental in the production and balance of many hormones in your body. Being an athlete, I was using those sources regularly to replenish my body during/after workouts thinking I was helping my body. Once I was diagnosed with Adrenal Fatigue several years ago, I was made aware of this fact. So, I switched from using a sport electrolyte drink during my long workouts (2 plus hours in duration) to a pinch of sea salt added to my bottle of water. This way I am gaining the same replenishing electrolyte mix during my workout without added sugar and unnecessary additives and reducing the stress on my Adrenals. I feel so passionately about the topic of Processed Foods, that I am posting this TODAY. Scientists have officially linked Processed food to Autoimmune Disease. http://earthweareone.com/scientists-officially-link-processed-foods-to-autoimmune-disease/The key here is to keep you informed of the latest research so you can make educated decisions about your own habits. THIS DOES NOT HAVE TO HAPPEN, YOU CAN MAKE A CHANGE! “U.S. fast foods are often more than twice as salt-laden as those of other countries.” -Have you stopped to ask yourself WHY? I don’t know about you, but this raises a red flag for me. Our taste buds require it because over the years we have allowed manufacturers to add more and more salt, preservatives and other fillers to our foods and as a result we are harming our bodies. We are used to it. It is the same with sugar. If you have ever visited Europe, you may recall that their desserts are significantly less sweet and/or salty. Taste buds are a powerful part of our bodies. When we eat these processed foods we get caught in a vicious cycle because the more we eat, the more we crave it! “Just one 6-inch Roasted Garlic loaf from Subway–just the bread, no meat, no cheeses, no nothing–has 1,260 mg sodium, about as much as 14 strips of bacon.” This is outrageous! The really shocking part, is the general public thinks eating a sandwich at Subway is a healthy way to eat. It’s not fried right? Add a little meat and cheese and your sodium content is out of the roof! “Refined, processed and bleached salts are the problem…Dr Hendel believes too few minerals, rather than too much salt, may be to blame for health problems. It’s a view that is echoed by other academics such as David McCarron, of Oregon Health Sciences University in the US.” – We have to make choices that provide our bodies with the most nutrient dense foods as often as possible. This is the way back to improving our health as a nation. He (Dr Hendel) says salt has always been part of the human diet, but what has changed is the mineral content of our food. Instead of eating food high in minerals, such as nuts, fruit and vegetables, people are filling themselves up with “mineral empty” processed food and fizzy drinks.” – Well said. 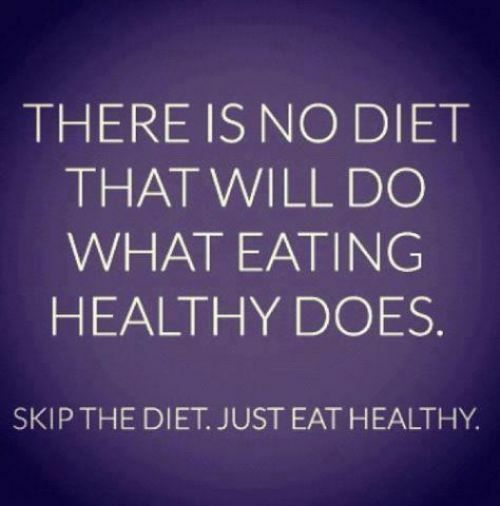 We are making choices that are pulling our nutrition down and only we can change that. I am here to help!!!! Call me or contact me, I can help you uncover what is sabotaging your nutrition, even if it is hidden, and get you on the track to feeling your best. eatlivefit.net or eatlivefit@hotmail.com The end result is helping your body perform at it’s best for you everyday and limiting disease! You are worth it!